There’s no doubt about it, bed bugs are in the top 5 pests to find in your home. Aside from the fact that they transfer easily and can quickly make their way to just about every item in your home, they are so incredibly difficult to get rid of entirely and they leave you covered in bites that take days to heal. At Colorado Pest Management, we have the solution that you need to make sure that they entirely leave your home, but there’s not much that we can personally do to help the itching bites go away any quicker. We were, however, able to scrounge up a list of the tips that we have seen provide some relief to the painful scratching that you’re sure to experience after an infestation. One of the best and most reliable approaches that you’re going to find will be anti-itch cream. These bites are much more annoying than they are harmful, so the first thing that you’re going to want to figure out is how to control the itch. Itching cream will definitely reduce the urge to itch, but it won’t eliminate it. However, it is the easiest method to caring for bug bites and it is one that you can use as needed and throughout your body, so we definitely suggest it. There are a few different brands that we have found to be more reliable than others, and when it comes to something as tempting as itching, you don’t want to go with the generic brand. Spend the little bit extra for a brand that has spent time researching their ingredients and including them in their product. As you filter through the various brands that you can choose from, make sure that you stick with a product that has benzyl alcohol listed as an ingredient. This ingredient dries out the bite so that it isn’t as itchy, and can also make the overall area less painful. One of the less common tactics that can be used, but equally as helpful, are ice packs. The cold of the ice pack is able to suppress the urge to itch that you might be experiencing. It’s pretty difficult to use this method across your body, but if there’s an area of your body that is especially itchy, try applying an ice pack to it. After a while you should notice the urge to itch subsiding, just make sure that when you take the ice pack off you aren’t immediately scratching, because that will start the entire cycle back up. Depending on how bad of an infestation that you had, the number of bites can be slightly overwhelming. In instances like these, the anti-itch cream may not be enough to handle the situation. Oral antihistamines are an option, and Benadryl is one of the better ones. Since it is a medication that is used to reduce the symptoms of hives and other itchiness and irritation, it is a fantastic option to have available. However, do remember that this specific medication is one that is known for creating drowsiness, so be cautious of when you’re choosing to use it. This is another one of those treatments that very few people have heard of but can provide wonders if you’re a good candidate. By good candidate, we simply mean that if you aren’t allergic to aspirin, so quite a few people can use this option. Start by putting the alka-seltzer into a cup of water, or if you already have an Alka-seltzer solution you can go ahead and use that. Dip a cotton ball into the solution and dab it onto the area where the bug bites are clustered. It may not seem like the biggest treatment, and it certainly won’t be the best option for minimizing itch. However, this solution can help clear up the bites and reduce the inflammation and redness that you’ll experience after being bit. For some, just having that little bit taken care of can minimize the amount of scratching that they’re doing. The bites can last anywhere from a couple of days to a week. This will often depend on how many bites there are and how bad of an infestation existed. As always, these bites are more likely to heal if they’re cared for properly and not scratched a ton. 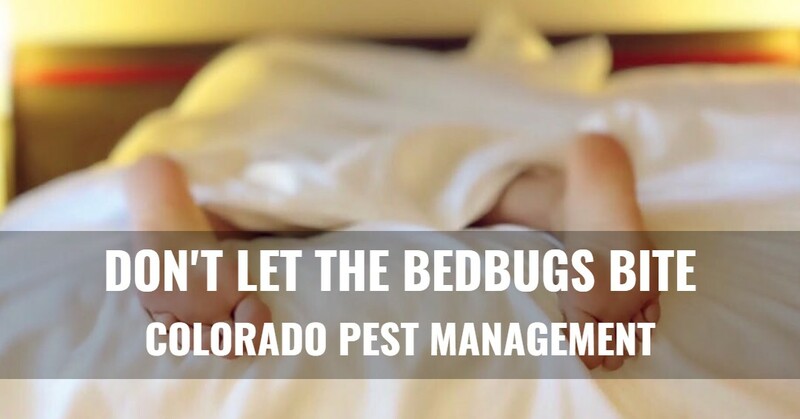 Do your best to use the treatment ideas that we’ve written up for you above, but also make sure that you call Colorado Pest Management here in Englewood to take care of any infestation in your home. We understand that these infestations are a convenience to you and that they affect your routine. 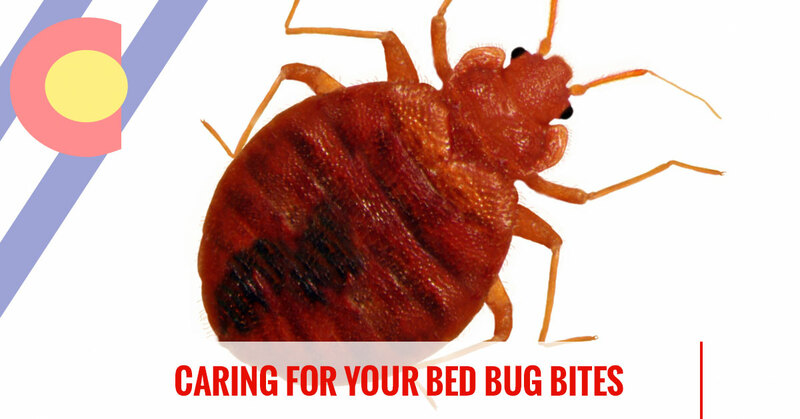 Because of that, we do our best to schedule bed bug infestation services as quickly as possible so that we can control the scene and let you get back to your comfortable lifestyle. Contact us today and we’ll get our bed bug exterminator scheduled to take care of your home.